Their tagline says it all: for people who don’t like museums. This renegade bunch of art aficionados offer un-highlights tours and alternative experiences at major museums in New York City, San Francisco and Washington D.C. and make fast fun of even the most yawn-worthy institutions. Their unique way of presenting art means they don’t offer conventional tours, but customised museum experiences, even for Little Hackers. Goodness knows we need this idea to jump to other continents too! “Little Hackers” is a private tour designed specifically for families with children aged 13 and under. This incredible place in the Paraopeba Valley of Brazil is the ultimate ode to contemporary art. Large-scale sculpture and installations that push boundaries are displayed in the open air across a complex of pavilions. And guess what? You can get around these massive museological and botanical gardens by golf cart! Although the guides do suggest you run around and explore on foot Alice in Wonderland style. In addition to the inspired layout, the ethos of creating a place that is for, and really seeks to engage the public makes it a winning combo. 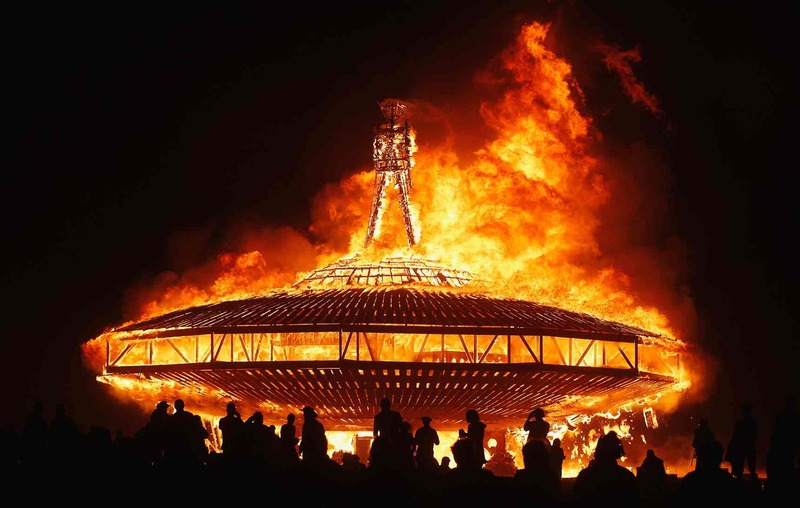 On everyone’s hip list as a transcendental experience, we say make the pilgrimage into the desert for the sake of art. The annual event is known for allowing people to leave everything behind and experience utopia for a week of their lives. The drawcard of experiencing true inclusion and community and a space for extreme self-expression sets the scene for some pretty fantastical creations. But don’t expect to just look at static objects, the art created here is meant to be interactive and participatory. That’s right, you can get hands-on with out-of-this-world, have to be seen to be believed creations just like these installations from 2015. 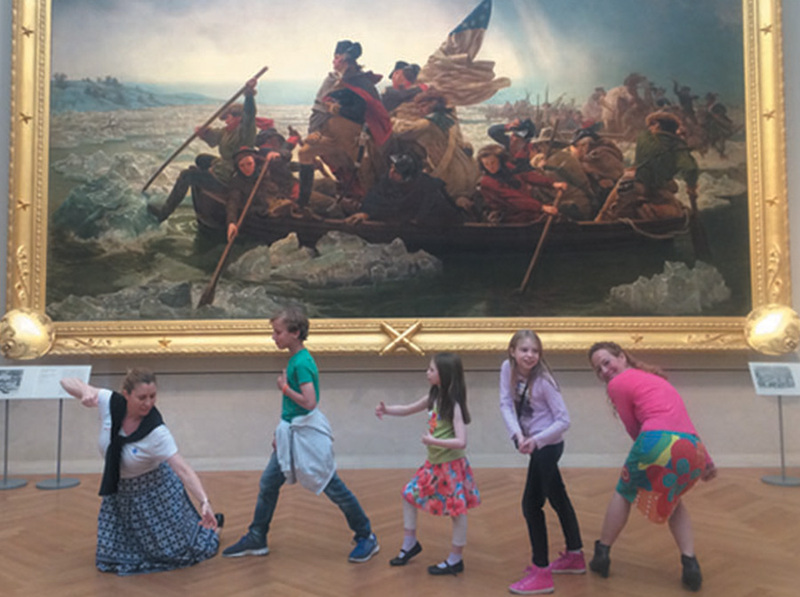 Seeing art with kids in tow can be tricky. If the art in question happens to be street art you’re half way there. The combo of bright colours, illustration and great outdoors dazzle. But like goldfish, their attention span never lasts long no matter how bold the subject is. This tour by Localers feels your pain and solves your problems. They use street artist, Invader, as bait and hook the kids into hunting down his alien mosaics, and creating their own, while parents get schooled on Parisian Street Art, in the Marais and Bastille areas. Not many of us want to lug around a digital SLR but plenty of us want some Instagram-worthy shots of our travels. These inspired walking tours go one step further. While guides introduce you to amazing outdoor art and architecture as you cruise the streets of Buenos Aires or Santiago, they also teach you how to perpetuate the cycle and become an artist yourself by properly harnessing the power of your iPhone. While this service had a lot of detractors when it launched, it is still a fantastic resource for many people who are unable to visit major museums, niche galleries and far flung cultural hot spots. The platform aggregates custom images of hundreds of thousands of artworks, by thousands of artists, from hundreds of institutions around the world. The same technology behind Street View has been applied to put museum tours and the viewing of critical art in the hands of the masses.